Above: Omicron-Kappa's new fraternity house located on KSU's Marietta Campus. Looking to get more out of college, serve your community, gain a superior career network and build relationships that will last for a lifetime? If so, this is the place for you! Kappa Sigma helps prepare young men for their careers and future by teaching them the Four Pillars of Kappa Sigma: Scholarship, Fellowship, Leadership and Service. Stay up-to-date on what is happening in Kappa Sigma Country. 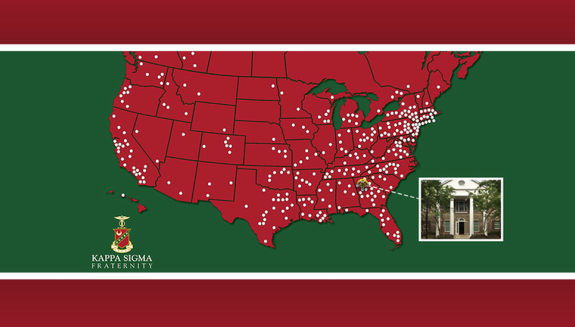 Find great discounts on Kappa Sigma merchandise and see what's new with chapters around you!